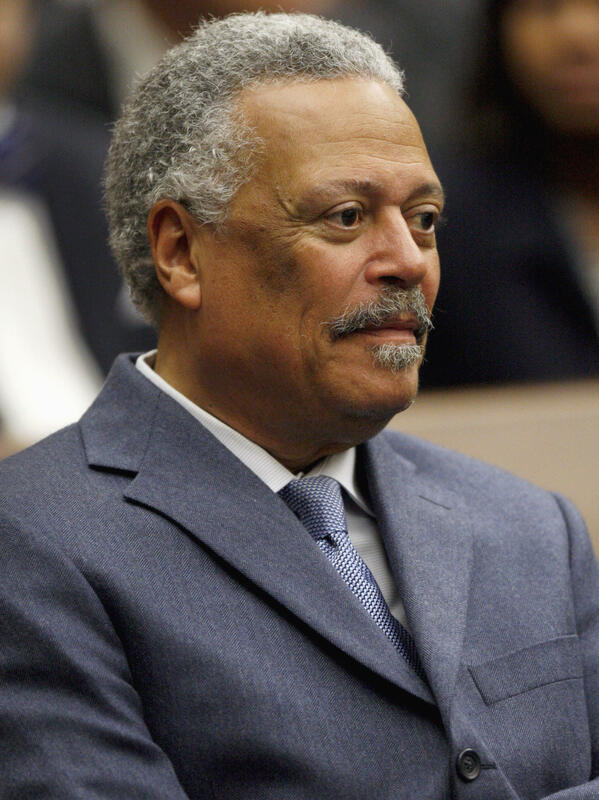 U.S. District Judge Emmet Sullivan, pictured in 2008, has temporarily blocked the Trump administration from deporting immigrants under new rules that largely bar asylum in domestic and gang violence cases. Immigration officials have returned a mother and daughter to the United States after they were deported, which had angered a federal judge who was hearing their lawsuit. The mother, known in court documents by the pseudonym Carmen to protect her identity, and her daughter were challenging Trump administration rules that largely bar the use of domestic and gang violence as the basis for asylum applications. District Judge Emmet Sullivan had been assured the pair would not be deported to El Salvador before midnight Thursday. A transcript of a hearing on Thursday shows Sullivan being informed that even while a government attorney was making that assurance, the asylum-seekers were on a plane out of the country, having been deported. Angered, Sullivan ordered the government to "return 'Carmen' and her daughter to the United States FORTHWITH." He also threatened to hold Attorney General Jeff Sessions and Secretary of Homeland Security Kirstjen Nielsen in contempt of court if they didn't obey the order. "This is pretty outrageous," Sullivan said. "Somebody in pursuit of justice in a United States court is just — is spirited away while her attorneys are arguing for justice for her?" A DHS official told NPR on Friday, "In compliance with the court's order, upon arrival in El Salvador, the plaintiffs did not disembark and were promptly returned to the United States." In addition to ordering the government to get the mother and daughter back, Sullivan blocked the Trump administration from deporting eight other immigrants — currently held in detention — who are part of the same lawsuit against the government for allegedly wrongfully rejecting their claims for asylum. The lawsuit had been filed Tuesday by the ACLU and Center for Gender & Refugee Studies. It argues the administration is wrongly rejecting asylum claims based on domestic abuse and gang violence. "In its rush to deport as many immigrants as possible, the Trump administration is putting these women and children in grave danger of being raped, beaten, or killed," Jennifer Chang Newell, managing attorney with the ACLU's Immigrants' Rights Project, said in a statement. The Trump administration's position is that many asylum-seekers are gaming the system by exaggerating their fear of returning home. The judge had scheduled Thursday's emergency hearing on the motion to block the deportation after learning of their imminent removal on Aug. 9. The mother and child had been held at the Dilley South Texas Family Residential Center.